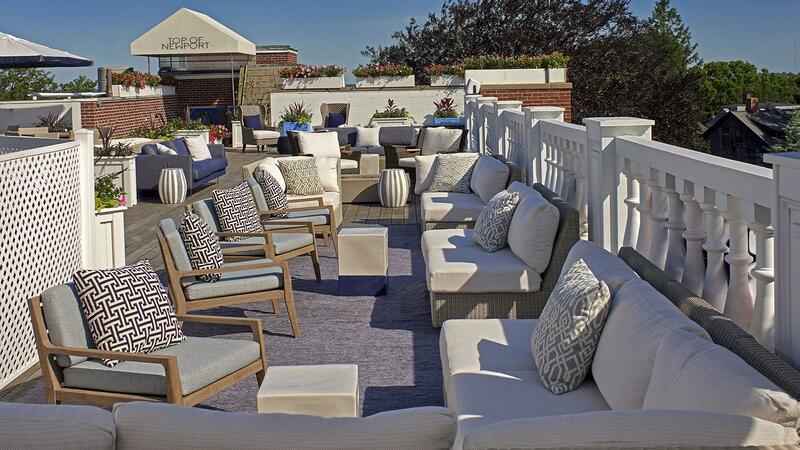 The hotel's Top of the Newport rooftop bar and restaurant is one of the many cigar-friendly spots at Hotel Viking. Lined with stunning, grand seaside mansions built by tycoons and heiresses, from the Vanderbilts to Doris Duke, Newport has been famous as a summer and weekend seaside luxury enclave since the Gilded Age. It’s hosted many America’s Cup races, is home to the Tennis Hall of Fame, and its charm and an abundance of beautiful, historic venues had made Newport a popular destination for weddings as well as bachelor and bachelorette parties. These in turn consume a lot of cigars, and with several shops, Newport is arguably one of the more smoker friendly towns in all of New England. The best place, though, to actually smoke in Newport is at the Hotel Viking, which rolls out the red carpet for cigar lovers. One of four top-tier luxury hotels in Newport, it has a great location within walking distance of downtown and waterfront shops and restaurants and is close to main attractions like the Tennis Hall of Fame. Hotel Viking even offers a complimentary house car for whisking guests around town. 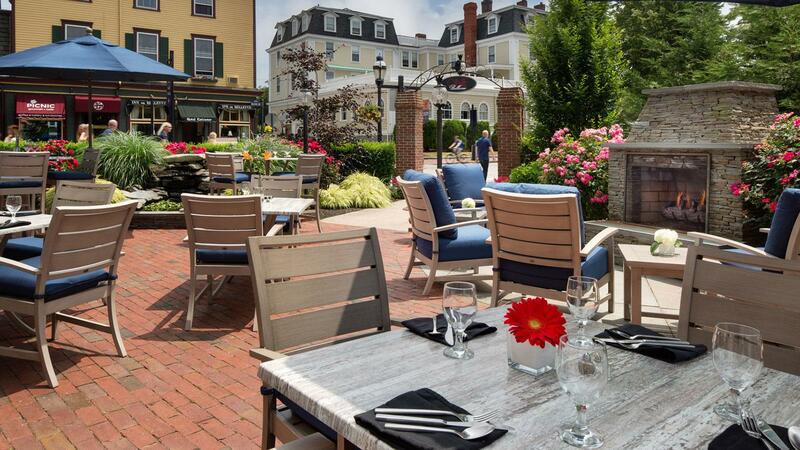 It is a full-service property with 208 rooms and suites, all recently renovated, Newport’s finest spa, an indoor pool and modern fitness center, and a popular rooftop bar and restaurant called the Top of Newport. Every year from May through September, the Viking hosts a weekly Spirits & Stogies dinner, featuring a particular cigar selection along with a three-course chef’s dinner and adult beverage pairings for every course. Every year from May through September, the Viking hosts a weekly Spirits & Stogies dinner, featuring a particular cigar selection along with a three-course chef’s dinner and adult beverage pairings for every course. The Hotel partners with the well-stocked Old Firehouse Smoke Shop in Fall River, Massachusetts, and each event is hosted by a tobacco professional and liquor company spokesperson who in turn explain the selections. The drinks are usually variations on a single brand. At the Woodford Reserve night in 2018, for instance, they paired regular Woodford Reserve, Rye and Double Oak progressively with an arugula, grilled fennel and smoked tomato salad, grilled bistro steak with Scotch butter, and a pistachio apricot cheesecake, all accompanied by an Archetype Strange Passage cigar. Other hosts have included Laphroaig Scotch, Grand Marnier, Teeling Irish Whiskey, Maker’s Mark Bourbon, Knob Creek Bourbon, Patrón Tequila and Jack Daniel’s, with the occasional craft brewery beer pairing dinner, too. 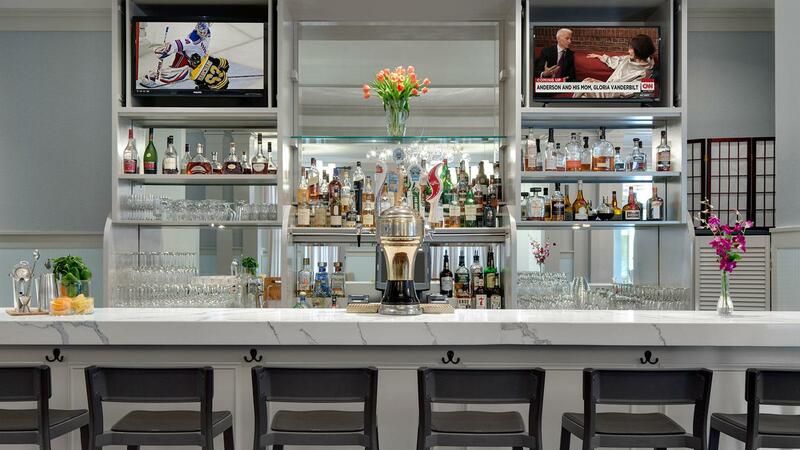 The One Bellevue Bar is stocked with spirits of all kinds, including a great selection of whiskies. Featured cigars have included selections such as an Ashton VSG Wizard, Rocky Patel Sungrown Maduro and more offbeat choices such as Kristoff GC Series and Undercrown Sun Grown. 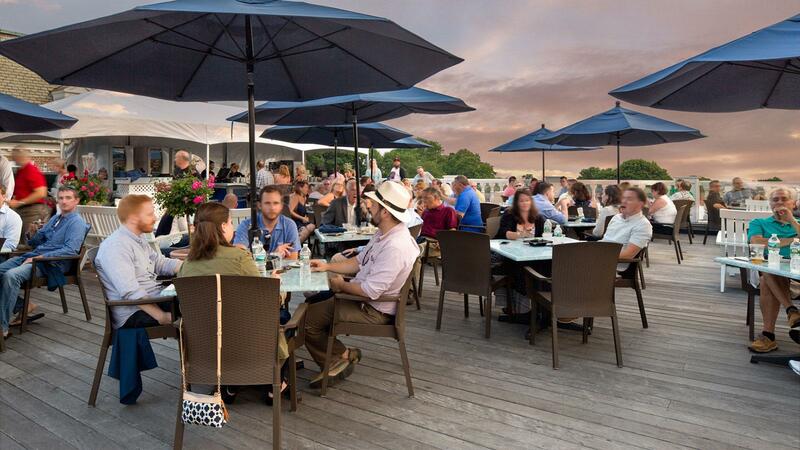 The dinners are held every Wednesday, either on the One Bellevue restaurant’s walled outdoor patio or the rooftop bar, and typically attract 15 to 50 participants. All feature live music, and they are tremendous bargains at just $65 for food, drinks and smokes. While the weekly Spirits & Stogies program is what elevates the Viking for cigar lovers, the hotel offers cigars and smoking venues year-round. The hotel allows smoking at its large, private central outdoor courtyard with firepits, lawn games and Adirondack chairs; on an old-school front porch with rocking chairs; and on the patio of its full-service restaurant. The One Bellevue patio is also cigar-friendly, and features firepits and comfy Adirondack chairs. The Viking added last fall a new coffee shop off the lobby with sundries and a retail display humidor. Due to the number of weddings in Newport, there is a lot of walk-in cigar traffic, unheard of at most other hotels. The Viking itself often hosts three or four weddings each weekend, and “The guys in the wedding parties really like to get cigars, so we go through a lot of them,” said Nicolopoulos. The bar humidor list has been concise to date, but the selection is being expanded for the new retail display. Current choices range from a Rocky Patel Super Ligero ($18), with additional options from Arturo Fuente, Archetype and Dunhill. Enjoy breathtaking sunsets along with a large selection of cigars, wine and spirits at this hidden gem of a cigar lounge.